My book club is THE BEST. Last weekend we went to New York to support a local actor in a play on Broadway. We did a bit of sight seeing too. Our first outing was to the Statue of Liberty and Ellis Island. I took the following photo in the Registry Room on Ellis Island. I was originally trying to get a photo of NYC through the window but love what I ended up with instead. The floor looks a bit like the water, reminiscent of the water the immigrants had to travel across to get here. And there is the city in the distance still almost in reach. We did a fair amount of walking around the city, tried some great food, and visited a few museums. 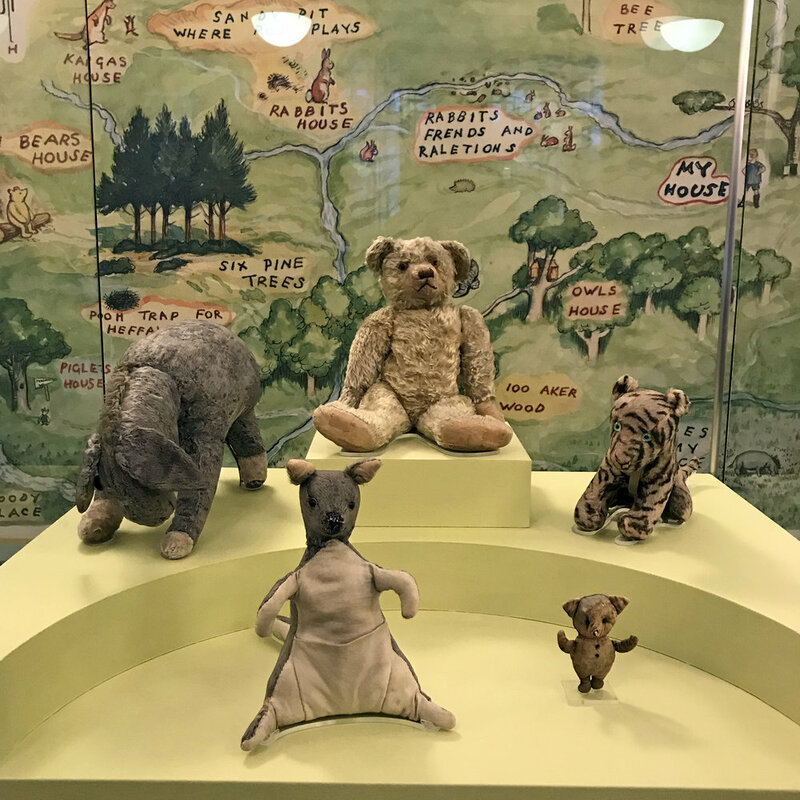 I was pleasantly surprised to find the original Hundred Acre Wood stuffed animals house at the New York Public Library. We finished our whirlwind two day visit at the theater. This play was excellent!